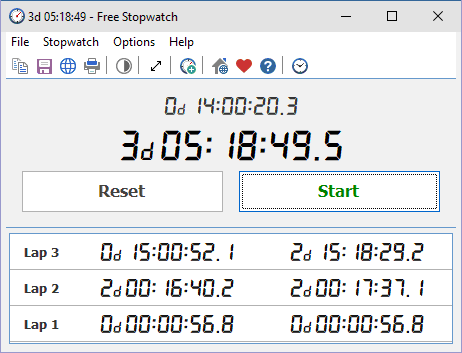 A Simple and fast Portable stopwatch is always available when you need it. Free Stopwatch Portable is used when time periods must be measured precisely and with a minimum of complications. Just tap Start to begin the count and tap Stop at the finish line. You can also tap a Lap button to monitor the times between laps. Free Stopwatch is suitable for timekeepers at sport competitions, laboratory experiments, time tracking of work, etc.